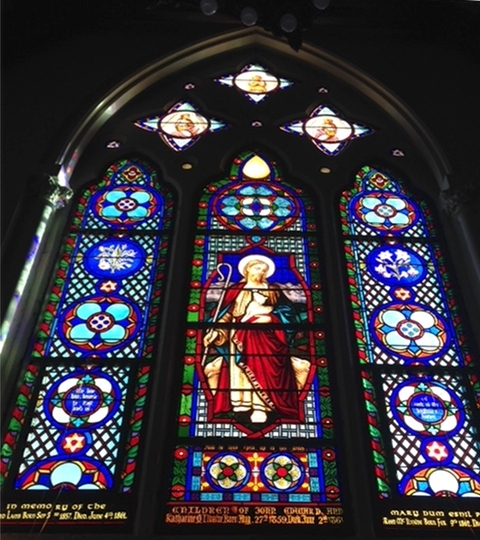 Rohlf’s recently completed the first phase of planned work to restore stained glass at the Rye Presbyterian Church. The structure of the 100-year-old south Transept window was totally failing, along with the faded enamels and painted flesh. 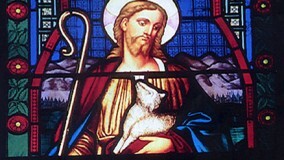 The congregation wanted to restore the stained glass properly, in order that it would inspire future generations. The exterior protective glazing system was originally fabricated with wooden storm frames and fastened to the stone surrounds; it did not incorporate any type of venting. 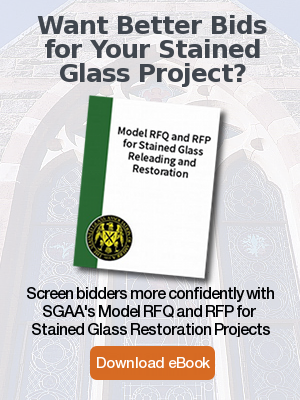 Upon removal of the stained glass from the stone grooves, Rohlf’s Stained and Leaded Glass Studio engineered a J. Sussman, Inc. 300 Series double glazed aluminum frame system to fit within the stone lancets and properly support the stained glass sections, replacing any lap leads. 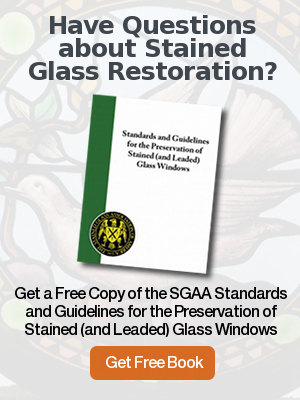 Every precaution was taken to not intrude upon the original stained glass pattern. 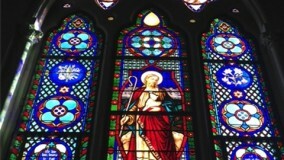 In addition to the stained glass photos in this blog post, please see the church Website for more beautiful stained glass images. 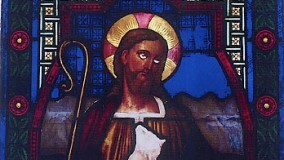 The stained glass was totally re-leaded. The faded flesh was restored and plated. 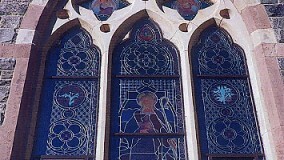 The stained glass was vented to the interior. The stone reveals were in bad condition and were repaired with a mason contractor that Rohlf’s oversaw. 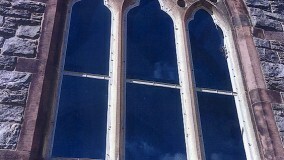 The new frames were fabricated with an unequal leg frame and installed in between the daylight opening of each lancet. The interior long leg covered the holes in the stone from the original tee and saddle bars. Closed cell backer rods were installed into the original stone grooves. The frames were secured into the stone openings using Hilti masonry fasteners and sealed, both on the interior and exterior with 795 Bronze Dow Corning Silicone. New ¼” clear annealed glass was installed on the exterior frame and sealed. The project took five months and was completed according to the Church’s schedule. The stained glass restoration and the enhanced architectural look of the Church building received positive accolades.